Watch Justin Gaethje's victory over James Vick ahead of Gaethje's main event bout at UFC Philadelphia this Saturday. Since returning to the UFC, David Branch has proven he’s a top 15 middleweight with impressive wins like his first-round knockout against Thiago Silva last April. Unfortunately, Branch has struggled with consistency while bouncing back and forth between wins and losses over his last four fights. He will look to return to the win column in the co-main event when he meets Jack Hermansson, who attempts to extend a winning streak that includes a stunning TKO over former title challenger Thales Leites. This is a crucial matchup for both fighters, as the winner will undoubtedly be knocking on the door of the top 10 after Saturday night. Following a long layoff after a knockout loss to Jeremy Stephens last year, Josh Emmett is more than ready to begin his climb back up the featherweight rankings when he faces perennial contender Michael Johnson on the main card. Emmett could be a force at 145 pounds when combining his high-level wrestling and knockout power, but he faces a tough test against Johnson who is coming off back-to-back wins at featherweight including a victory over Andre Fili. Johnson has knocked on the door of title contention previously but if he hopes to gain that kind of standing at 145 pounds, he’s going to have to get through Emmett. Former title challenger Karolina Kowalkiewicz has faced a murderer’s row since first arriving in the UFC, but after a knockout loss in her last fight to current No. 1 contender Jessica Andrade, she’s highly motivated to prove she’s still an elite fighter in the strawweight division. When she’s on top of her game, Kowalkiewicz can give anybody trouble at 115 pounds. This weekend, Kowalkiewicz takes on Michelle Waterson, who is coming off a pair of winning performances against Felice Herrig and Cortney Casey. Waterson has said she wants to challenge for a UFC title one day, and getting a win over Kowalkiewicz might prove that she’s nearly ready for that opportunity. Scottish light heavyweight Paul Craig will welcome undefeated prospect Kennedy Nzechukwu to the Octagon in his UFC debut. Craig is looking to get back on track after going just 1-3 in his past four fights, but with a slick submission arsenal, he knows he can give anybody problems at 205 pounds. Meanwhile, Nzechukwu comes to the UFC with a perfect 6-0 record after earning his contract via Dana White’s Tuesday Night Contender Series. Nzechukwu is excitement personified, with knockouts in four of his six career victories, including a devastating head kick finish that got him into the UFC. A potential show stealer kicks off the main card as Sheymon Moraes takes on Sodiq Yusuff at featherweight. Moraes has gone 4-1 in his last five fights including wins over Matt Sayles and Julio Arce in his most recent performances. He faces a dynamite prospect in Yusuff, who joined the UFC by way of Dana White’s Tuesday Night Contender Series and then kicked off his career with a huge TKO win last December. Moraes and Yusuff have the chance to set the tone for the entire main card with this fight and it’s possible they set the bar for excitement on Saturday night. Former Ultimate Fighter winner Ross Pearson has always found a way to bring the crowd to its feet when he competes, but with a 1-5 resume in his last six fights, he knows he’s in need of a win. 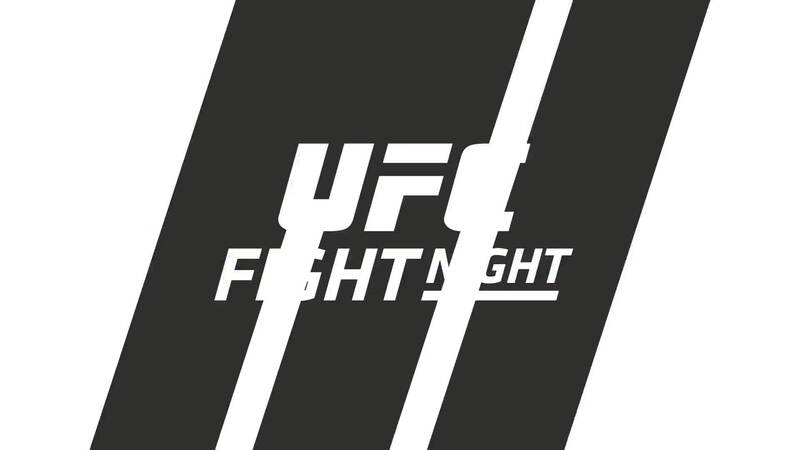 His opponent Desmond Green faces a similar dilemma after going 1-3 in his past four fights after kicking off his UFC career with an impressive win over Josh Emmett. Considering the stakes, Pearson and Green will definitely look to make an impression in this lightweight showdown. Former Ultimate Fighter Latin America winner Enrique Barzola has quietly put together an impressive win streak with four straight wins in a row. Barzola was a raw prospect when he first arrived in the UFC but he’s managed to build himself into a potential threat to the top 15 at featherweight in recent months. At UFC Fight Night from Philadelphia, he meets Kevin Aguilar, who picked up a win in his debut against Rick Glenn last year. Aguilar is a dynamic knockout artist competing at 145 pounds, which means he’s always just one shot away from scoring a spectacular finish. Kevin Holland earned UFC President Dana White’s respect when he stepped up on short notice and took Thiago Santos to a decision last August. Holland didn’t get the win that night but he returned with an impressive submission finish against John Phillips in his second appearance inside the Octagon. Following that win, Holland now faces another UFC veteran in Gerald Meerschaert, who is a dangerous middleweight with a 4-2 mark since joining the roster. Meerschaert is an incredibly durable fighter who has an indelible ‘never-say-die’ attitude that could turn this matchup with Holland into an absolute war. Veteran strawweight contender Jessica Aguilar steps up on short notice to face undefeated Brazilian Marina Rodriguez in Philadelphia. Aguilar has struggled to find her footing since arriving in the UFC with a 1-3 record through her first four fights. Now the American Top Team athlete will take an opportunity to return to the win column when she faces Rodriguez, who earned her spot on the roster with a TKO on the Contender Series, then managed to battle to a draw against Randa Markos in her debut. Former flyweight title contender Ray Borg moves to bantamweight when he faces two-fight Contender Series alum Casey Kenney. Borg has been out of action for over a year, primarily taking care of his son, who was forced to go through multiple surgeries. With his family back at full strength, Borg is excited to return to action as he faces a short-notice newcomer in Kenney, a two-division LFA champion who comes into the fight with an 11-1-1 record. Once cemented amongst the top 10 strawweights in the world, Maryna Moroz has gone through some struggles in her past two fights with back-to-back losses. Now the Ukrainian born grappler will try to erase the bad memories of defeat with a fight at 125 pounds against Sabina Mazo, who makes her UFC debut with a perfect 6-0 record that includes a nasty striking arsenal that has helped her finish two past opponents by head kick knockout. Following a tough outing his last fight against top five-ranked contender Joseph Benavidez, Alex Perez hopes to return to the win column against Mark De La Rosa. Prior to his setback against Benavidez last year, Perez was on an incredible eight-fight win streak, including a victory on Dana White’s Tuesday Night Contender Series, and then three straight in the UFC. As for De La Rosa, he fell short in his late notice debut but has since picked up two wins in a row leading into this preliminary contest at 135 pounds.